It seems to be a common theme with me the past few months where I fall in and out of love with Instagram. The relationship we have is like a roller coaster at the moment where one minute I absolutely love it and the next I'm packing my bags, ready to leave. 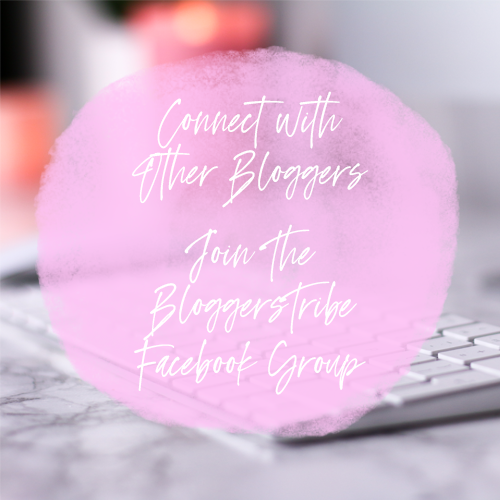 When Instagram first came along I was obsessed, I couldn't get enough of this new platform and that was just my personal account, when I started my blogging Instagram it had a whole new meaning to me. 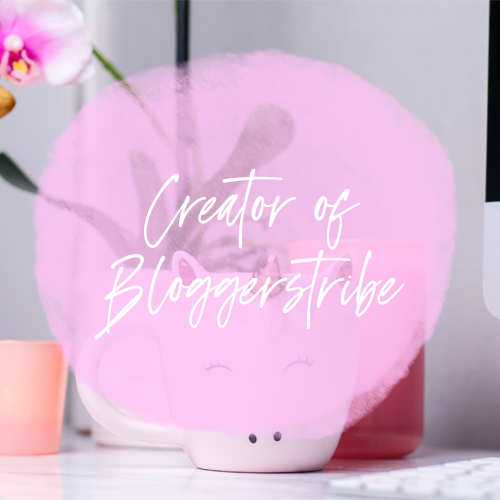 I was in love with the idea of connecting and starting up relationships with other bloggers, wanting to show case my work even if it was just a hobby and I was a beginner. Instagram was amazing but I feel like somewhere along the way I lost the love. A lot of people have been angry at the algorithm and I don't blame them, I was too. The fact that big accounts kept getting bigger and small accounts were suffering, it really got to me but then I think about it, I really analyse why I don't have the same love for it any more and I realise that I was falling out of love with Insta long before the algorithm and I think I know why now. I was starting to feel like it was all a numbers game, if you weren't acing 100's of likes on your pictures or have over 5k followers then what's the point in even trying because you're going to get lost in a sea of such beautiful content but now I know that's not the truth, although that's how I felt at the time. Looking at others perfectly curated feeds made me feel intimidated, like I was fighting a loosing battle, of course you have to have a theme right? crisp white backgrounds, high quality images or those peachy perfect filters over all your photos so they match. I didn't feel good enough if I'm telling the truth so I stopped posting as much, I was hardly ever active on Instagram and I wanted to delete the whole app off my phone but something in me kept it there. After taking some time away from Instagram and pretty much all of my social media accounts for a while, I got my blogging mojo back which meant I also had an urge to get back onto Instagram, get posting photos I loved and trying my hardest at it, thus began my Instagram journey again. After a few weeks I felt myself slipping back into my slump, I wasn't happy with Instagram again, my engagement fell A LOT then I found out I was shadowbanned and that was the last straw for me. I didn't know what I was doing wrong, I was engaging with other's, making sure to like pictures every few hours, replying to Insta Stories, mixing up hashtags and trying so damn hard but It wasn't helping, I felt invisible and I did start worrying about numbers and themes so I tried to switch up my photos, I tried different themes, I tried different hashtags but nothing was working, I was still being shadowbanned and I wasn't really happy with my photos so I stopped posting as much again, I felt like each post was taking so much effort and I couldn't think of engaging captions anymore. After falling out of love with my Instagram completely I started to think about why I didn't want to use it anymore, why I wasn't loving it and that's when I realised that I was focusing on what I thought others wanted to see and focusing on numbers instead of doing what I wanted with MY account. 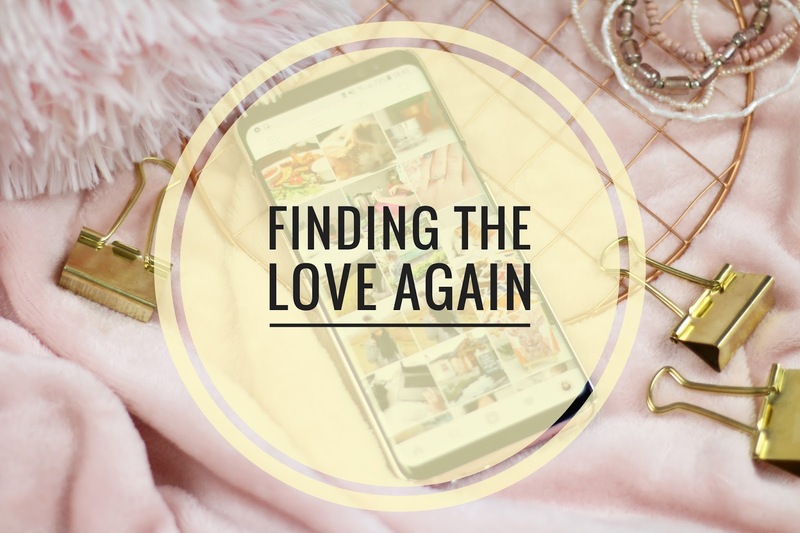 After realising that I wasn't doing what I wanted and that's exactly why I fell out of love with Instagram it made it easier to find the love again. Finding the love again was a welcomed change, it was like I broke free of some shackles that were holding me back from just being me. I have been going through a lot in my head recently as I spoke about in my post, Embracing ME, so I have been trying to work on parts of my life I wasn't happy with and me showing my creativity was one of those areas. I now feel like I can be me on Instagram again and part of embracing myself again is getting in front of the camera which I will be talking about in my follow up post to my Embracing ME one, but getting in front of the camera meant I had some beaut new shots to upload and since then I have been uploading what I want, when I want instead of feeling restricted. So I've found the love again for Instagram, I'm not bound by a theme, I'm not focusing on numbers anymore and I'm doing what I want for me and that's the best feeling ever. If I could give anyone advice on falling back in love with Instagram again and what to do when you're just not feeling it anymore, it would be to just do you, do what you want, post that puppy picture or the photo of your brekkie, just make sure that what you're posting makes you happy. I always felt really down about my photos, I don't have a crisp marble background, I don't really feel I follow a theme, and I was putting a lot of pressure on myself to post every day. As soon as I took that pressure off myself I've gone back to enjoying it again. Rather than being sat for hours trying to put together as many photos as possible, I now just do them as and when I think of something, and I think they look much better for it! I'm glad you've found your love again! I'm pleased you are enjoying Instagram again. It is my favourite social platform but it can be disheartening when you see others around you grow and you can't work out why not you. Good for you for doing your own thing and just having fun. I've just given you a follow hun. And I totally relate to this post. I'm falling out of love with Instagram which has been my favourite social media platform to date. I used to love it until the algorithm changed and everything stopped being fun. I'm sick of seeing posts by people I love from 5 days ago. I really do wish they'd stop messing about with what was once an awesome break from blogging and other social media channels! I think we all need to take a leaf out of your book! I think not being bound by numbers is the way forward but it can be difficult to step out of that mindset! 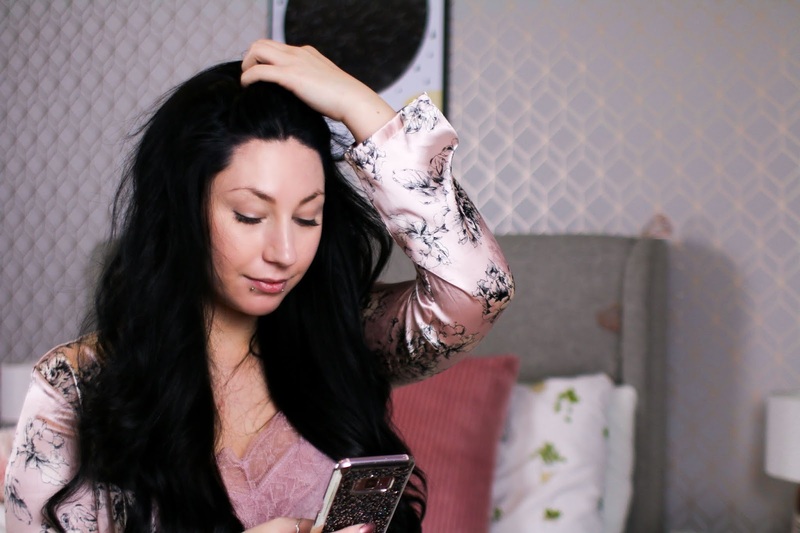 Yeah, I feel the same about Instagram - after a whirlwind romance, I couldn't get enough of it in the beginning then it all went horribly wrong! I stopped getting the 1500 views I had been getting and just couldn't get my follower numbers to rise. You are right, it should definitely about doing things for ourselves rather than our followers and I have started to post food images that aren't perfect (a no-go before). I am glad you have recaptured your love for Insta - hopefully one day I will, too! My Instagram does not have anything in the way of relation to my blog. I just put my photography on there and it is doing very well. Over 21,000 followers and I am happy about that. Sometimes I have felt that it can be a drag especially with some aspects, especially with like for like or comment for comments. It can wear you down.